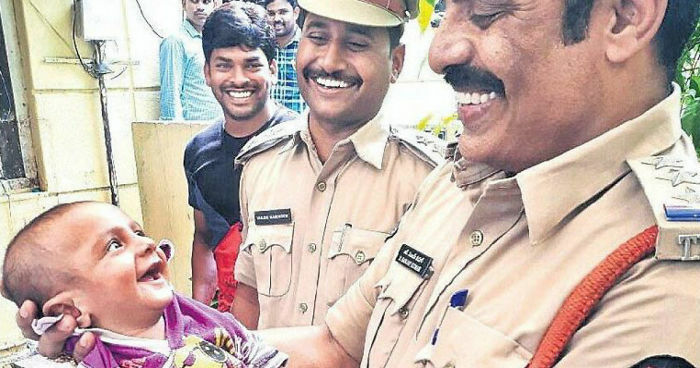 This image where a baby smiles at a policeman has recently become viral on social media. 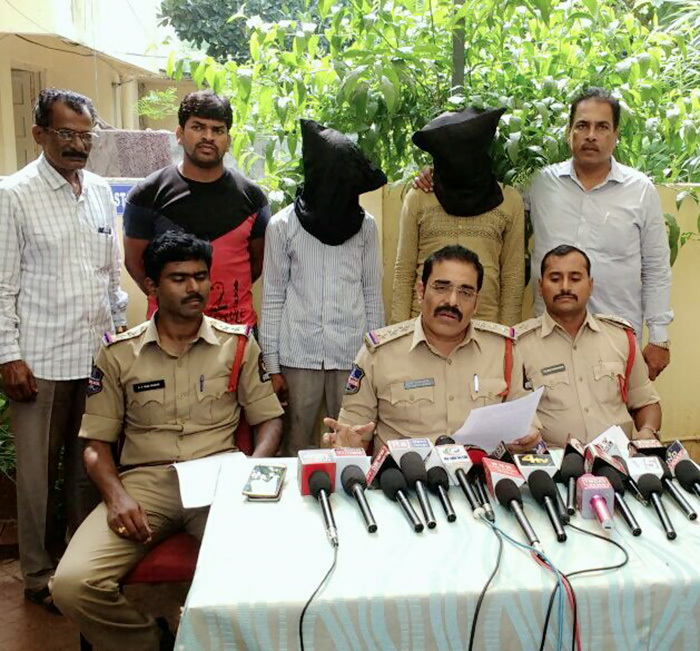 The photo was shared by IPS officer Swati Lakra on Twitter and also by the Hyderabad Police. 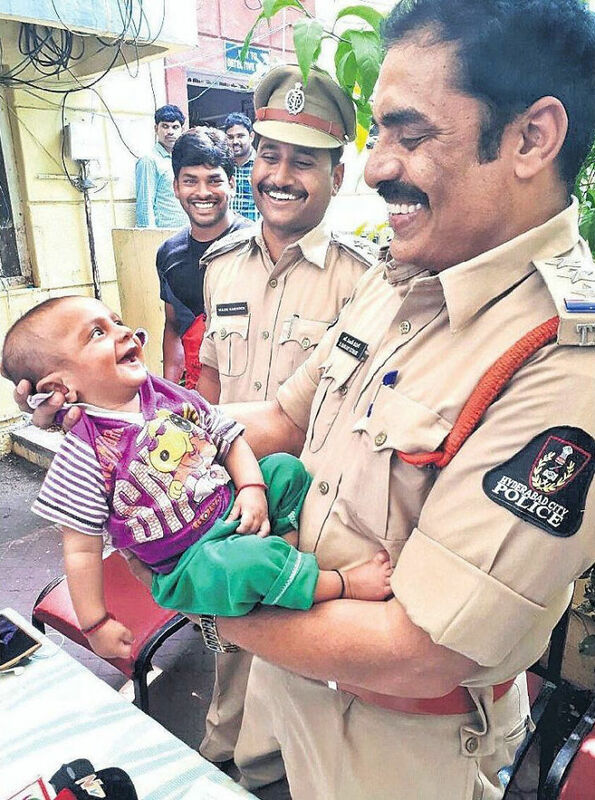 It shows a 4-month-old Faizan Khan smiling at a police officer after being rescued from kidnappers. His mother Humera Begum sadly survives by begging and sleeps on the streets, so her son has been taken from her while they were sleeping on the pavement in Nampally Trail, Hyderabad, India. Police took action and after 15-hour hunt they captured the kidnappers who were trying to sell the baby. 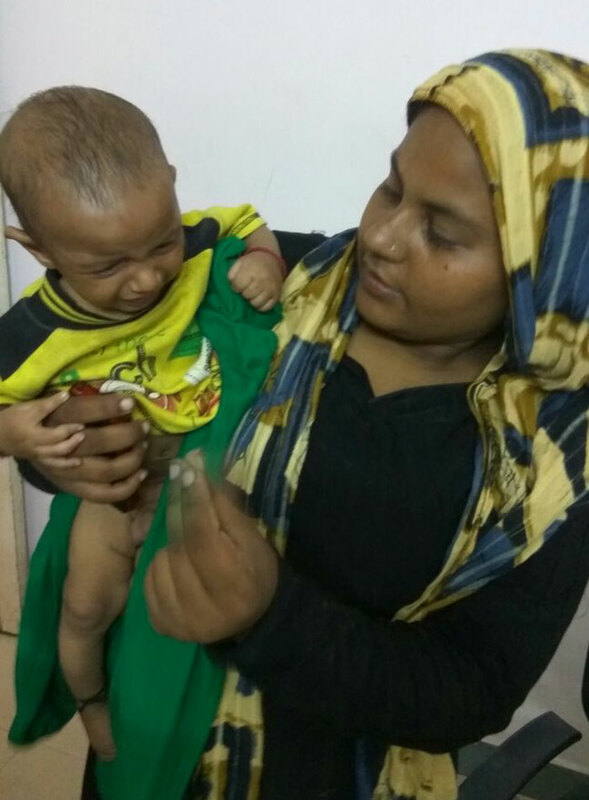 Little Faizan’s reaction while being in the hands of inspector Sanjay Kumar says it all. Sorry to spoil the story, but the social smile of a 4-month old baby is, well, social. He smiles because he sees the smile in a face of a person that seems trustworthy, not actually because he is happy to be rescued. By the way @admin: "His mother [...] sadly survives by begging and sleeps on the streets" is an awkward sentence construction, indicating that it actually is sad that she survives. 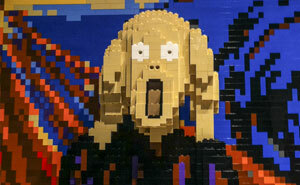 "His sad mother" or "His unfortunate mother" would better capture the misery. and a typo "4-month-old" --> "4-year-old". I was confused for a sec. 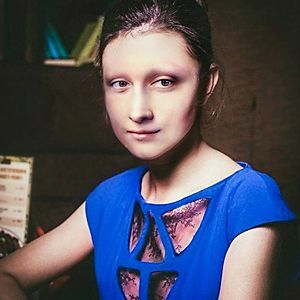 That baby is cute. Hopefully, his mom gets help so she doesn't have to beg. So sad. Hey guys, thank you all for noticing the typo above the first picture! He's indeed 4-month-old, we've just fixed it, sorry for all the confusion!